There’s nothing quite like the motivation of a beautiful woman to get you to try a sport that you’ve always wished you could do but never thought you could pick it up past your 10th birthday. This is the motivation that I felt three years ago when I met the woman of my dreams that would become my best friend and wife. I always knew some of my friends surfed but I never REALLY knew what that meant. Being from Philly (minus my college years) I knew people surfed at the Jersey Shore, that’s pretty obvious if you hit the beach each summer. But not knowing the culture and the passion that drives each individual to wake up at 4-5am and drive 1+ hours each way just to get a couple hours in during a swell (which the best surfing in the Northeast is from Fall – Spring), I was basically clueless what surfing really meant to them. This project is directly inspired by three friends of mine: Adrian Castillo, Chris “Cakes” Savaiano, and Jim “Hammer” Hammell who took me under their wings, suffered with the humiliation (that I still bring when I go out with them) of helping a newbe. Their dedication to teaching and insisting I go out with them whenever they go, helped me confidently say to that beautiful girl I met for coffee three years ago that “…yeah, I surf”. Stay tuned for more info regarding this project as I have big plans for next Spring/early Summer. To see more of Chris Sembrot’s photography go to his website and his Altpick page. 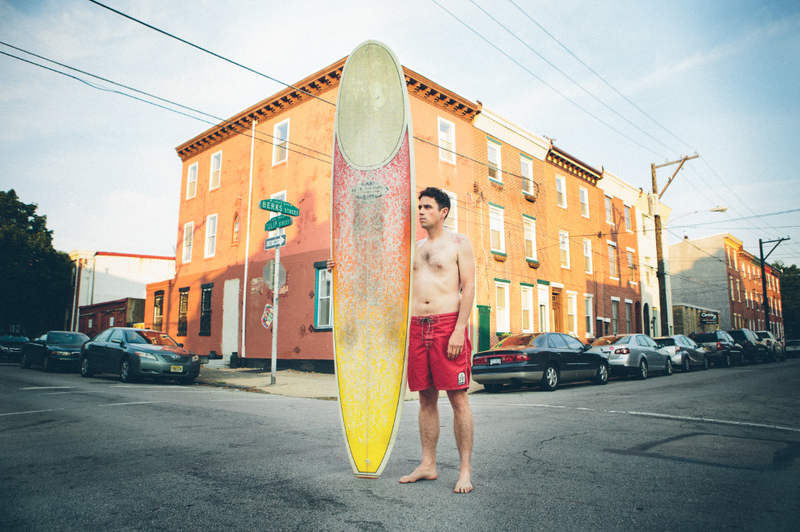 This entry was posted in Altpick, Photography and tagged Chris Sembrot, Philadelphia, Philly, surf, surfing. Bookmark the permalink. great photos; thanks for sharing!